Just off the famous Las Vegas Strip and about 5 miles south of downtown, McCarran Airport is busy nearly around the clock, much like the city it serves. The drive time to the heart of the Las Vegas Strip is about 10 minutes in normal traffic. Downtown Las Vegas takes about 20 minutes. McCarran airport has two terminals, Terminal 1 and Terminal 3, each with separate parking, check-in and baggage claim areas. The two terminals are not physically connected. Airlines at Terminal 1 use the A, B, C and D gates. Airlines at Terminal 3 use the D and E gates. The A and B gates are on concourses connected to Terminal 1 and the E gates are on a concourse connected to Terminal 3. The other gates are reached using three separate automated people movers. The Green Line connects Terminal 1 with the C gates, the Blue Line connects Terminal 1 with the D gates and the Red Line connects Terminal 3 with the D gates. The airport advises passengers making connections between airlines using different terminals to use a courtesy shuttle on the roadway outside of the terminals but that requires leaving the TSA secure area and being re-screened. It is possible to connect to all gates within the secure area but it can be tricky, especially when going between the C and D gates. To stay within the secure area, passengers from either the C or D gates should take the people mover to Terminal 1. Exit the train but do not follow the crowds to baggage claim, instead just before the exit use an opening in the partition that will allow you to go to the adjacent people mover that will take you back to the opposite concourse. The opening in the partition is marked but it can be easily missed. Southwest Airlines flights arrive and depart using the B and C gates in Terminal 1. 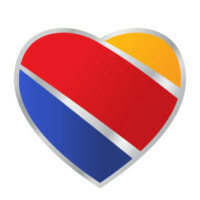 All of Southwest’s gates can be reached without leaving the TSA secure area. They say “what happens in Vegas, stays in Vegas.” Nicknamed Sin City, Las Vegas is an adult playground with mega resorts and top-name entertainment. It’s also home to some of the biggest conventions in the world. Oh, and then there’s gambling. The Las Vegas Convention and Visitors Authority has information here.